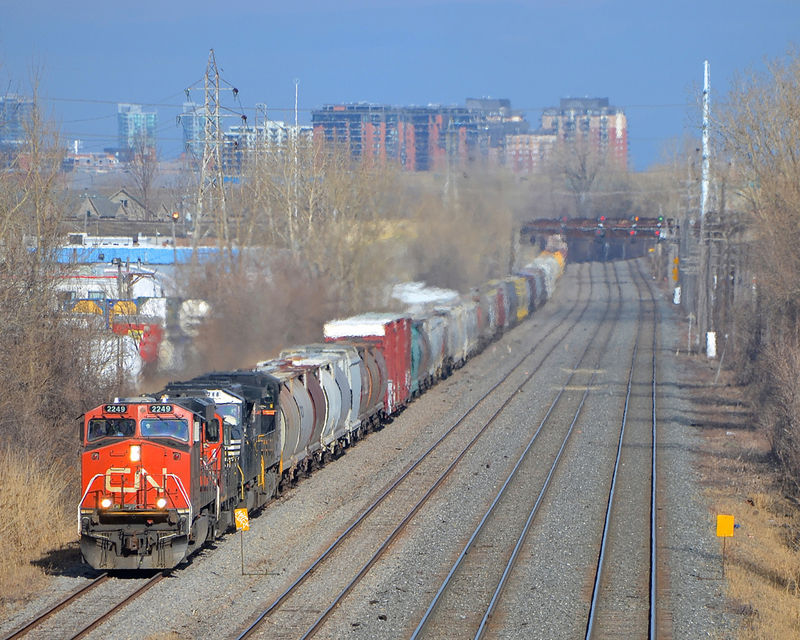 Railpictures.ca - Michael Berry Photo: CN 527 has its currently assigned power (CN 2249 & CN 4134) as well as two NS units from a CN 529 that terminated at Southwark Yard (NS 6766 & NS 9591) as it approaches Taschereau Yard. | Railpictures.ca – Canadian Railway Photography – photographie ferroviaire Canadienne. Caption: CN 527 has its currently assigned power (CN 2249 & CN 4134) as well as two NS units from a CN 529 that terminated at Southwark Yard (NS 6766 & NS 9591) as it approaches Taschereau Yard.